We so loved being a part of Kelsey and Mitchell’s Glen Ellen Farm wedding. Our day started photographing details on a sparkly, pink tablecloth (swoon!) and ended with a sparkler exit. 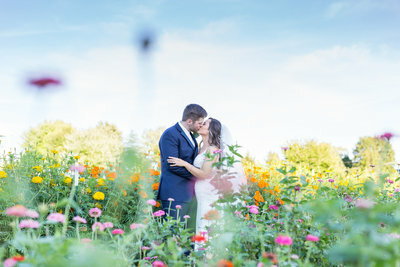 Everything in between was just as beautiful, including Frank and Shane (our friend from Cork and Banner Films), taking some super dreamy portraits of this gorgeous couple. I think the best part for me was watching Mitch’s emotional reaction to seeing Kelsey for the first time during their first look. It’s moments like these that truly make me love my job and remind me how lucky we are to have that perfect someone to do life with. We hope you enjoy this peek into Kelsey and Mitch’s wedding and some of our favorite images from their day. It was definitely our honor to close out our 2018 wedding season with this sweet couple.